Home > Uncategorized > December 6th – Home for Christmas? 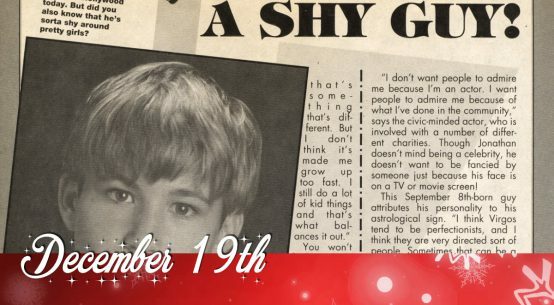 December 6th – Home for Christmas? 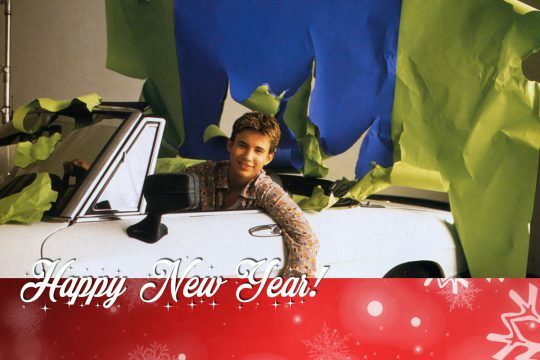 Today a flashback to the fall of 1997, which summed with rumours about Jonathan’s upcoming Christmas movie. At this point in time they only got the title partly correct, the name of Jonathan’s character not so much. 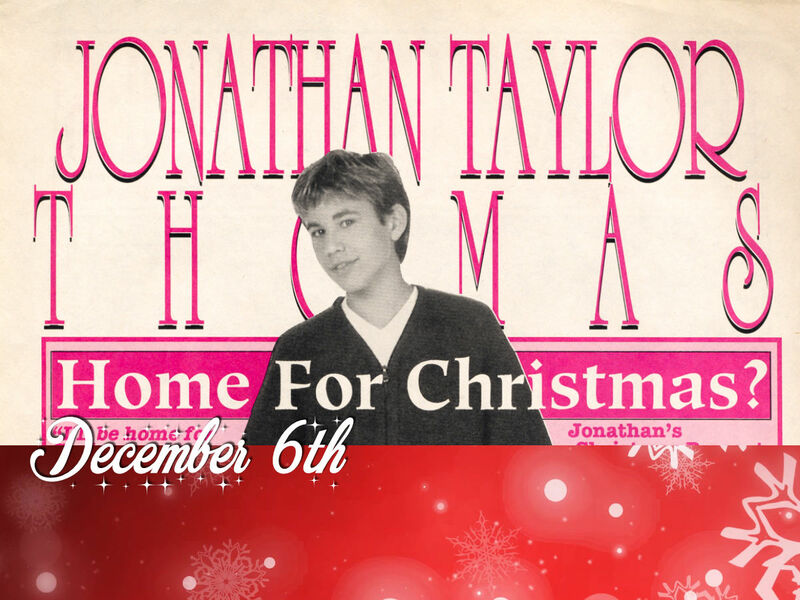 You can count on Jonathan Taylor Thomas to be home for Christmas this holiday season. Jonathan really gets into the spirit of things when the holidays roll around and he’ll be of good cheer whether he’s spending the holidays at home or on vacation witn his mom and older brother Joel, or visiting family in Pennsylvania or other parts of the country. Well, chances are, it won’t be a white Christmas at Jonathan’s house in sunny California this year, but mistletoe and presents under the tree are a sure bet. Jonathan always gives presents to his family and close friends in celebration of this holly-jolly time of year. This year, he’s even got a gift for his fans! 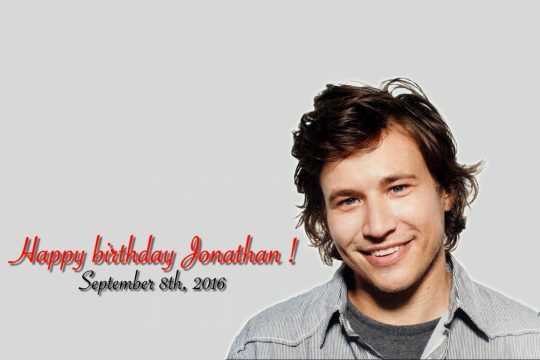 Jonathan’s Christmas Present To His Fans! Jonathan has a Christmas present of sorts for nis faithful fans! It isn’t something he can wrap up and tie in a pretty bow, however, it’s a new movie! If you haven’t heard, Jonathan will be starring in the romantic comedy I Won’t Be Home For Christmas for Walt Disney Pictures. 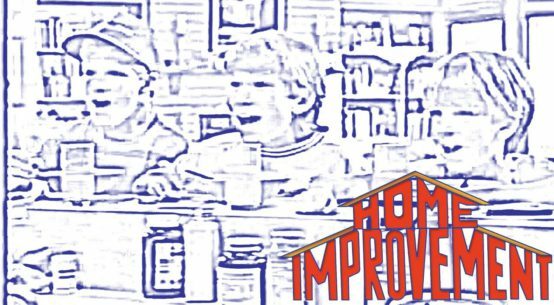 The movie will be shot in the spring when Jonathan takes his hiatus from taping episodes of Home Improvement. Jonathan will star as a prepschool kid named Roger wno goes to great lengths to keep his girlfriend from falling for a new guy. 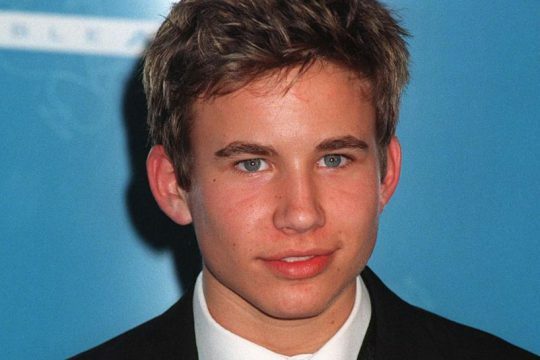 The part of the female lead hadn’t been cast at the time we went to press, but whoever lands this dream role opposite JTT will be one lucky lady! 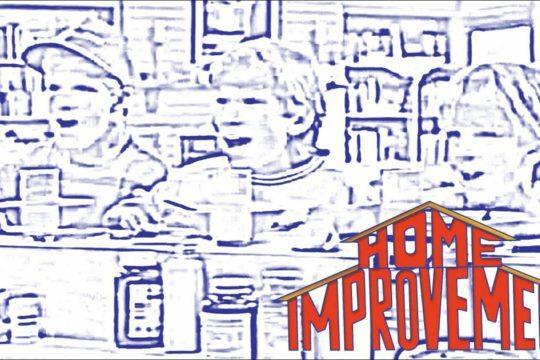 Because of the timely title, we’ll guess that I Won’t Be Home For Christmas will arrive in theaters just in time for the ’98 holiday season. We’ll keep you posted!